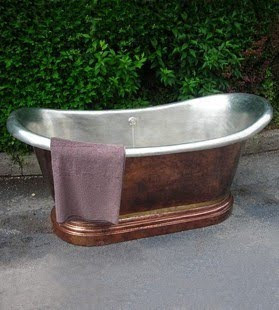 The "jewel" of Herbeau's Bathroom Couture Collection is the Medicis copper tub. It is generally built for two and it is wonderfully inviting! It is such a beautiful mix of materials and unique lines that you can't help but want to soak for hours!